Put the skull into a catapult and launch it towards enemy zombies. You must defeat them all before you run out of skulls. 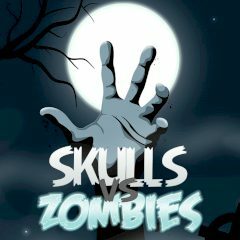 Launch skulls towards the construction and find all zombies that are hiding there. Kill them, blow TNT and increase points by using as less skulls as possible.